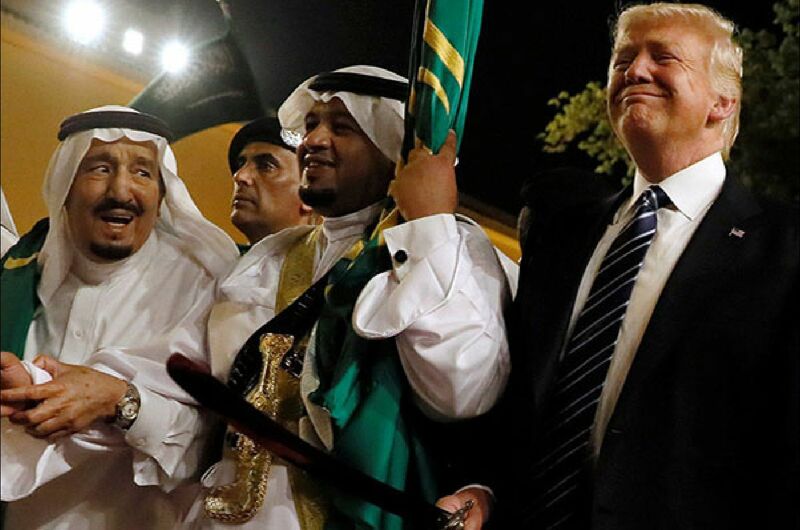 LOS ANGELES,CA, ( 01/19/19) — After the worst year for Saudi Arabia’s image since the 9/11 attacks, the kingdom begins 2019 with more controversies looming over its head. The kingdom’s recent decision to ban an episode of Hasan Minhaj's new Netflix show and months of Saudi attacks on the first Muslim U.S. congresswomen, has left many wondering how the kingdom can ever regain it's credibility around the world. But beyond the kingdom's credibility is a reminder of how this perception matters not just for the Saudis’, but for 1.6 billion people associated with the religion that was founded in the country, Islam. As Muslims like Minhaj in the U.S. and those elsewhere in the Muslim-majority world win bigger audiences, such observations will become a larger part of the global conversation. People will become more aware of critiques and nuances shared among Muslims for years but rarely included in the Western-driven coverage of issues like the Saudi regime’s behavior. For Riyadh, that’s dreadful news. It becomes a lot harder to say the kingdom should get a free pass for denying adult women the right to travel without a man’s permission and giving its citizens almost no say over how the country is run if the regime can’t hide behind claims that that’s simply Islamic culture or the way Muslims want to live. It’s inconvenient, particularly after the Saudis invested such immense amounts of time and money in trying to win influence by appealing to Muslims’ sense of solidarity, to have different kinds of voices and examples from within the community showing different ways to live and thrive. And it’s especially worrying that many of these newly visible Muslims seek to own their identities ― not to cede them, out of frustration or fear, to traditional stewards like Saudi clerics, or to simply assimilate for mainstream consumption. To understand why the situation escalated this way, consider that the modern state of Saudi Arabia is less than 100 years old. To become the kind of world player it is today, the kingdom has relied on its connection to Islam. The Saudi King uses the title “Custodian of the Two Holy Mosques” ― a reference to the Saudi cities of Mecca, where every practicing Muslim must travel once in their lifetime, and Medina ― in every official document. The monarchy’s most important friends, notably the U.S., justify the relationship by referencing its authority in the Muslim-majority world. Around the region, the idea of natural Saudi leadership of the “Ummah” ― the global Islamic community ― carries weight among thousands of politicians and generals, oligarchs and day laborers. It doesn’t hurt that the Saudis’ oil wealth helps them buy support, but money is something many ambitious nations, from America to neighbors like the United Arab Emirates or Turkey, can offer. A connection to the divine isn’t. The link in the international imagination between the modern kingdom and the preachings that began there 1,400 years ago is so strong that even Islam’s loudest critics take note ― and advantage. When anti-Islam activist publicize Saudi actions to suggest that the way the kingdom operates is how Muslims want the world to run, they know they’re using one hardline regime to fear-monger about all of contemporary Islam and they know the tactic works. But Saudi Arabia’s mantle is under threat. With more Muslims sharing particular experiences of their faith, their goals and their identities, the kingdom’s generalizations and claims to broad authority are becoming weaker. The internet’s made that easier in even the most hidebound Islamic societies. And in the West, years of activism have successfully pushed institutions to better represent younger Muslim communities, like immigrants or second and third-generation Americans. Sensing what’s coming and how it could challenge their regime’s critical coziness with Western patrons, top Saudis are already trying to maintain their comfortable status quo. That’s the driver behind efforts like Saudi media’s smearing in recent months of Reps. Ilhan Omar (D-Minn.) and Rashida Tlaib (D-Mich.), the first Muslim women elected to the U.S. Congress. Such figures have independent knowledge and thoughts on the Muslim-majority world, she noted ― they’re less likely to buy whatever the Saudi lobby in Washington is selling, such as panic about the kingdom’s regional rival, Iran. Saudi leaders now have to figure out how to handle and respond to these louder and louder voices. They might seek advice from an increasingly close friend in a parallel situation: Israeli Prime Minister Benjamin Netanyahu, who despite Israel’s status in Jewish theology and history has aligned himself with right-wing leaders in Europe and the U.S. whose political bases include known anti-Semites. Netanyahu’s approach, described by his supporters as a way to better protect his nation, helps these right-wing movements fight claims of prejudice ― much as the Saudi reluctance to criticize Trump’s Muslim-focused travel ban did for the U.S. administration. Meanwhile, the fighting within the larger Jewish community over Israel’s direction only becomes more heated. Whatever the Saudis choose, they can’t ignore the growing conversation.